Out of the ordinary! Here are two jewelry pieces from a new and one-of-a-kind collection inspired by the ocean and my research at sea. 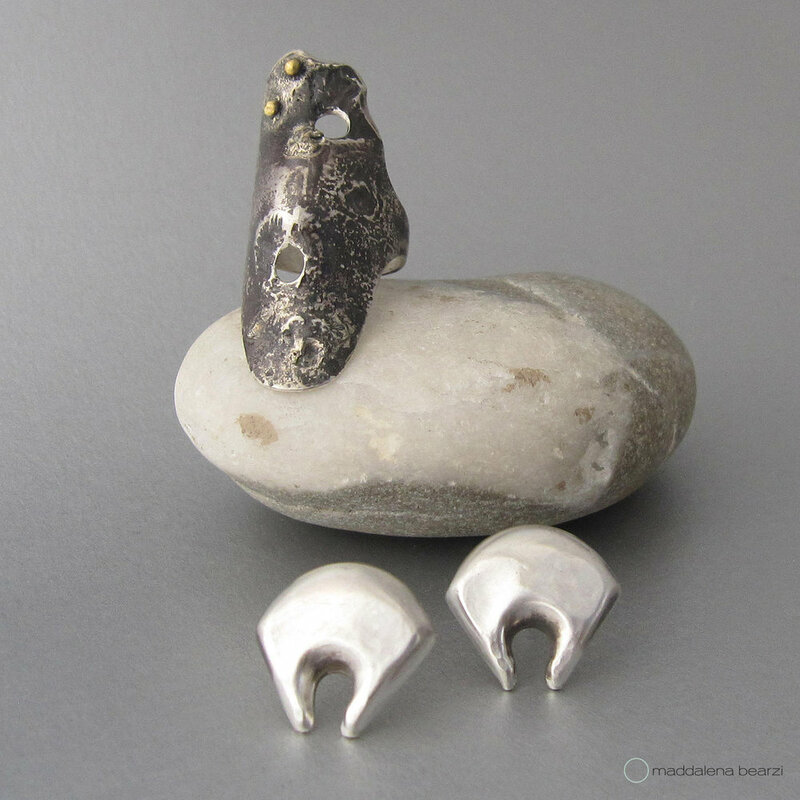 “Relitto nero bucato” ring and “seppia” earrings are both handcrafted in reclaimed silver and gold.